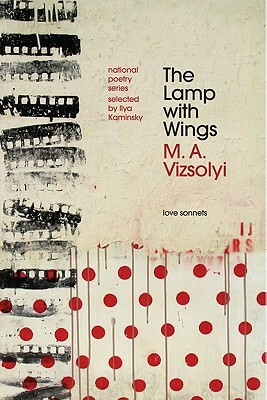 A winner of the 2010 National Poetry Series Prize as selected by Ilya Kaminsky (author of Dancing in Odessa, recipient of the 2004 Whiting Award, the Ruth Lilly Fellowship, among other honors, and co-editor of The Ecco Anthology of International Poetry), Vizsolyi’s work perpetuates NPS’s tradition of promoting exceptional poetry from emerging poets. For thirty years, the National Poetry Series has discovered many new voices and has been instrumental in launching the careers of poets and writers such as Billy Collins, Mark Doty, Denis Johnson, Cole Swensen, Thylias Moss, Mark Levine, and Dionisio Martinez. M. A. Vizsolyi holds degrees from Pennsylvania State University and New York University, where he was a Starworks Fellow. He has taught poetry at New York University and to pedi-atric patients at the NYU Medical Center. His poems have appeared in numerous journals, including Margie, 6x6, Slice magazine, and Sixth Finch. He teaches skating and ice hockey in Central Park and lives in New York City with his wife, the poet Margarita Delcheva.